Current selected tag: 'gesture drawing'. Clear. 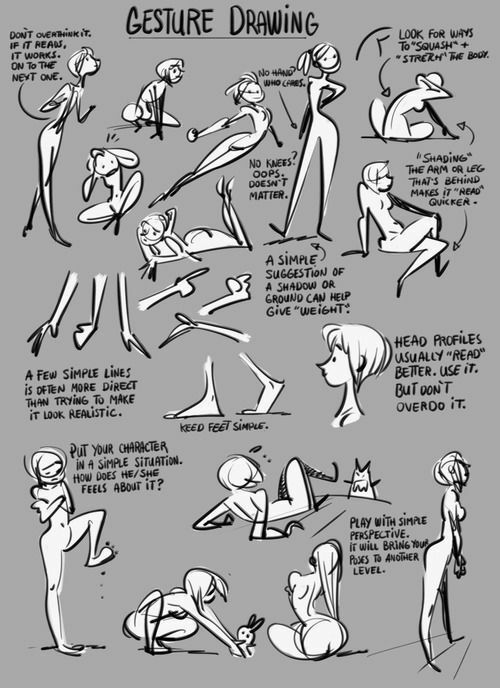 This video guide describes how to perfect your gesture drawing using a variety of helpful tips. Gesture drawings will allow you to accurately capture the pose and proportions of a model. Such drawings can be used for both cartoon and realistic drawings. A collection of various gestures you can use to add action to your drawings. There are a wide range of gestures to explore, all of which are suitable for any kind of drawing or painting project.